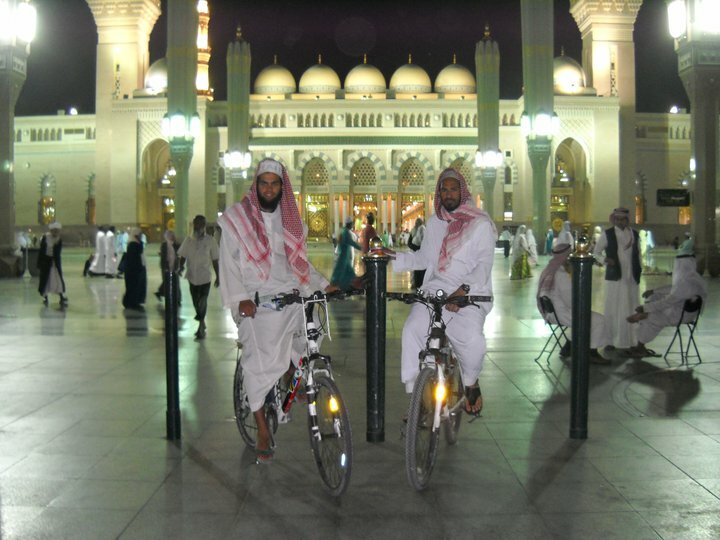 Two South African Muslims, Nathim Cairncross and Imtiyaz Ahmad Haron, pedalled for nine months through 12 countries, arriving in Mecca in time for the annual Hajj pilgrimage, which began this week, Al Jazeera reports. Cairncross, 28, and Haron, 25, were inspired by stories of past pilgrims who had made the long journey to Mecca, a mandatory pilgrimage for able-bodies Muslims to make at least once in their lives. The two friends wanted a more meaningful and intimate experience than flying or driving, so they hopped on their bikes. "On the ground, you can speak to the people," Cairncross told Al Jazeera. "You discover much more about yourself." They biked 80-100 kilometers a day, facing broken chains, flats, and language barriers, but always managed to find food and shelter, making friends with locals along the way. In Mecca, they arrived with thunder and lightning. "The rain was like mercy coming down on us," said Cairncross. "Not that we're special, but it felt like, God willing, our efforts were accepted."